Funko Announces Cereal Line Featuring Elvira: Mistress of the Dark, Freddy Krueger, and Beetlejuice - Horror News Network - The Horror News You Need! 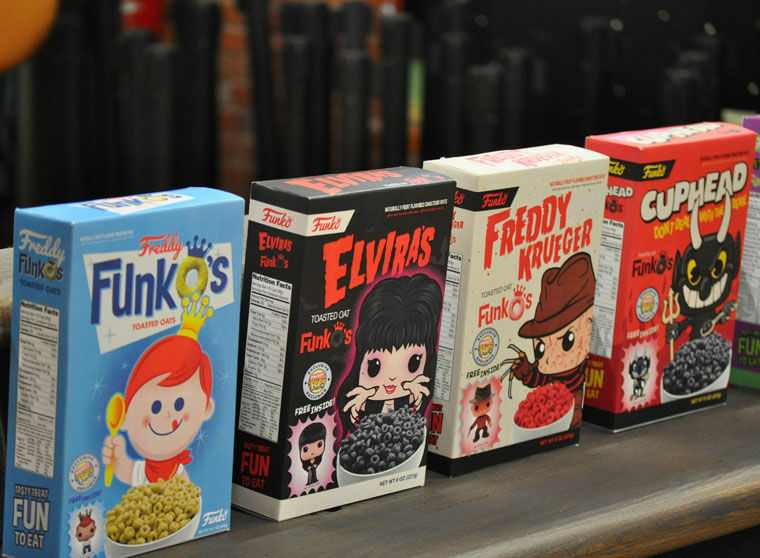 In an announcement sure to excite Funko collectors, horror fans, and non-healthy cereal aficionados everywhere, Funko Founder Michael Becker just unveiled a new cereal product line, and naturally, mini-Pop figures will be included in the box. Becker revealed this surprise in an interview with The Coronado Eagle and Journal and said that the Funko O’s line would include Elvira: Mistress of the Dark, Freddy Kruger, and Beetlejuice, among others. In addition to the cereal, Funko collectors will be interested to hear that a documentary about the origins of the company will soon be revealed in Making Fun – The Story of Funko. Check out the trailer below and stay tuned to Horror News Network for more information about the cereals and further Funko Toy news.